Create classic battles with your favorite Pokémon! Choose your Pokémon and battle to become the very best! 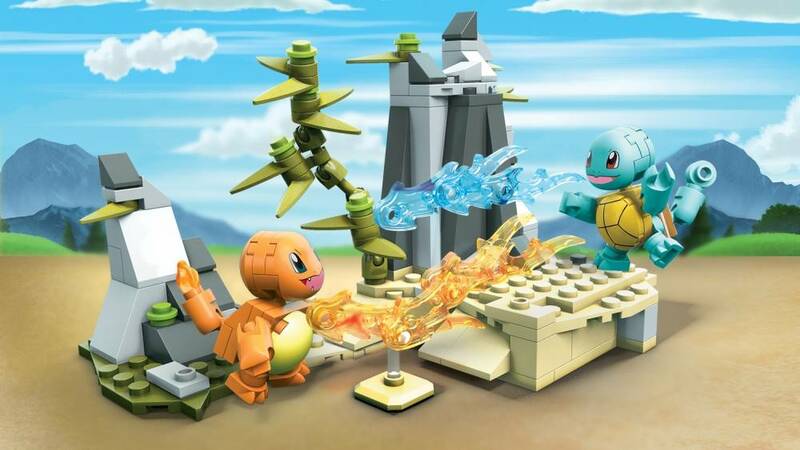 It’s Squirtle against Charmander in this match-up between two of the most popular Pokémon of all time! 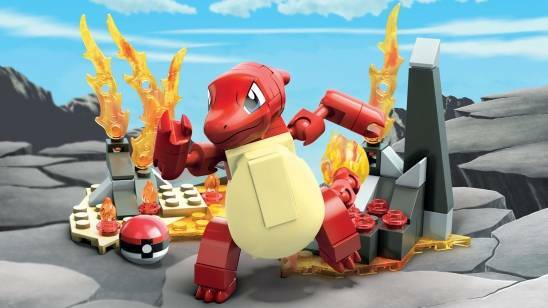 Build your Pokémon, and set the scene for battle. Then, singe your opponent when you unleash Charmander’s iconic Fire-type attack! 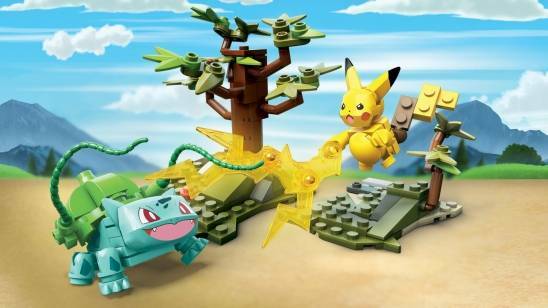 Build your Pokémon world, and build beyond! 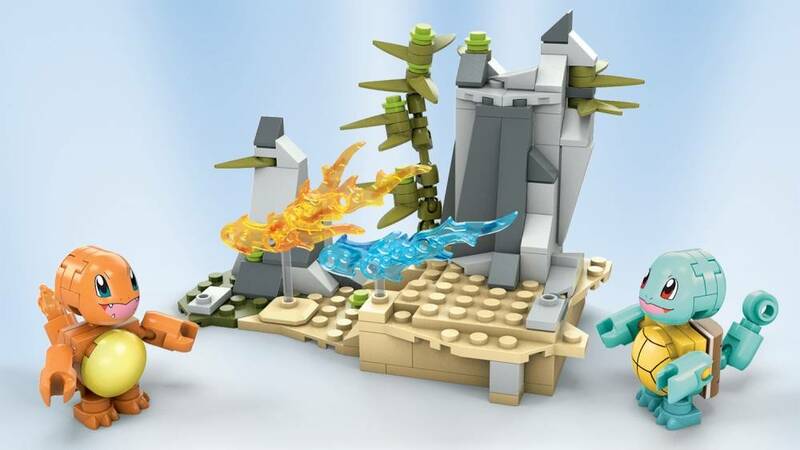 This set is amazing! It was very fun as I was building the set! I just think that some parts are very loose. Having these 2 kanto starters just makes this set soooooooo awesome! 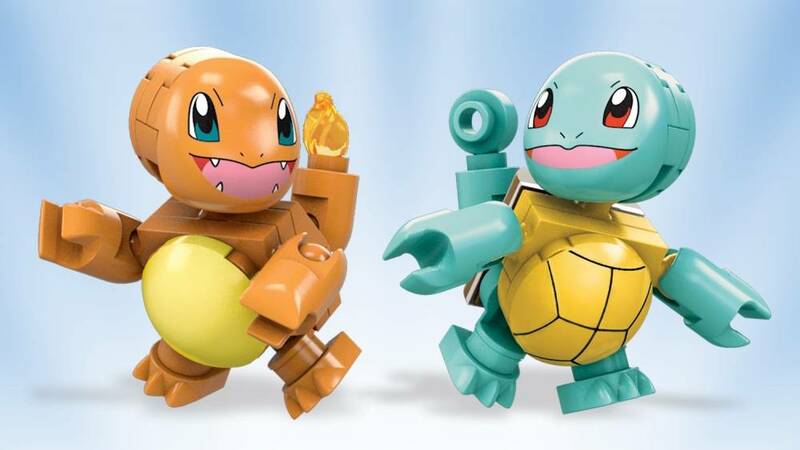 I think squirtle and charmander are so cute. This is a great set! I worked on this. I completed it within couple hours but it was crazy with the stage part. I did not like the tall blocks because they would not stay when you try to put them together. I get quite frustrated with that. Charmder could use some changes.